» Arctic Grayling length, weight and tag data from Arctic LTER Streams project, Toolik Field Station Alaska, 1985 to Present. 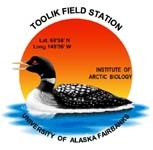 A complete list of all protocols can be found here: http://arc-lter.ecosystems.mbl.edu/streams/arctic-lter-streams-protocol Summary of Site Locations: Kuparuk River: In 1983, phosphorus addition through dripping began at the site designated as 0.0k. Stations downstream of 0.0k have positive numbers and upstream have negative numbers. The reach upstream of the phosphorus addition has remained the reference reach for the duration of this dataset. Downstream of the original phosphorus addition was the fertilized reach. In 1985, the phosphorus dripper moved to 0.59k, creating a recovery reach from 0.0k to 0.59k. In 1996, the dripper was moved downstream to 1.4k, creating a recovery reach between 0.6k and 1.39k. The historic recovery reach from 0k to 0.59k had not been fertilzed for 11 years, so it was then considered part of the reference reach after 1996. In 2011, an additional phosphoric acid dripper was placed at 0k to fertilize the area of stream from 0k to 1.4k. These areas became known as the "Re-Fert" zones. The stream reach above the historic dripper from 1985 to 1996 (0k to 0.59k) became known as Re-Fert 1, and the once fertilized reach from the 1985 to 1996 dripper (0.6k to 1.39k) became known as Re-Fert 2. Reach information can be found in data for specific time periods. A table is providied below for various stations. The 0k riffle is about 75 meters downstream of the actual "0k" deployment location of the dripper. Therefore, the actual dripper location should be known at -0.075k. Oksrukuyik Creek: In 1990, reference sampling took place throughout various stations on the Oksrukuyik. From 1991 to 1992, phosphorus was added at 0k. In 1993, both Nitrogen and Phosphorus were added at 0k. Fertilization came to an end in 1997, leaving a recovery reach downstream of 0k and a reference reach upstream of 0k. A table is providied below for various stations. Summary of Methods: Young of the Year Collection: Young-of-the-year Arctic grayling were captured during the field season are measured, weighed, tagged and released. The fish are most typically caught using aquarium dip-nets. Occasionally, electro-shocking is used. Adult Collection: All grayling adults and juveniles captured during the field season are measured, weighed, tagged and released. This information is added to a long-term tagging file (1985 to present) and will yield information on grayling movements". April 2015: JPB: All other single analyte files for YOY and fish tags were combined into this one document. Access Database also available. Version 3: March 2016: Updated with 2015 data. Definition: Station Name on Stream. For Kuparuk and Oksrukuyik, a kilometer value downstream (positive) of the original dripper location is the station name.